Stunning! 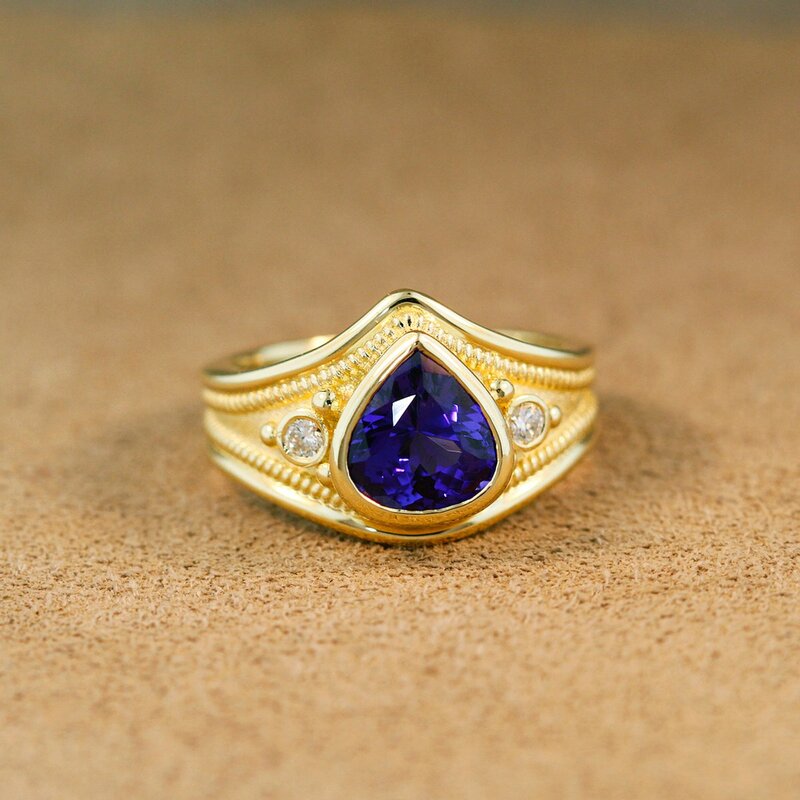 This tanzanite, with just the right amount of blue and violet, is fantastic! The very heavy mounting is built with ancient detail and built to last generations!